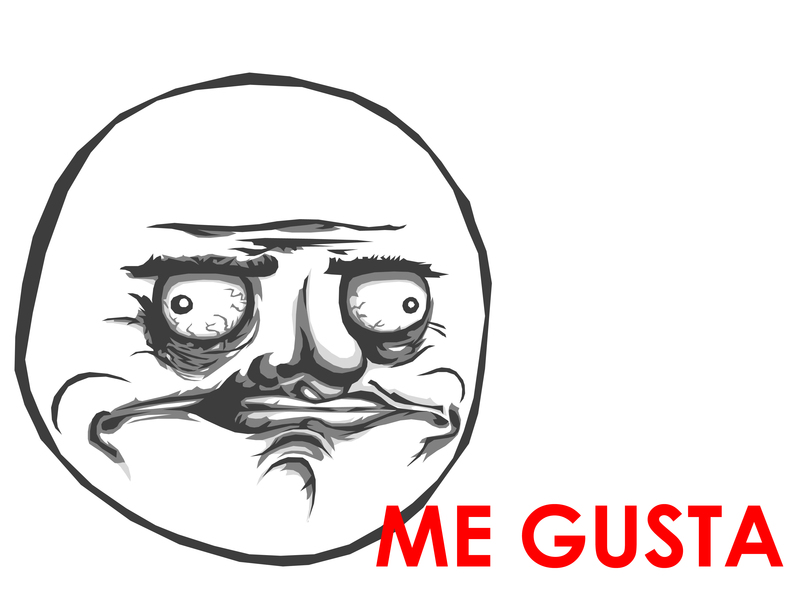 What is “Me Gusta”? The origin of this phrase is obvious, having roots in the Spanish language meaning “I like it,” but now has evolved into something more thanks to the help of the internet. The internet has helped transform this phrase into a relate-able comic character aka a meme (click here to see the character), who is shown to be disturbed but pleased at the same time. At the end of the comic the phrase is shown right next to the meme face. 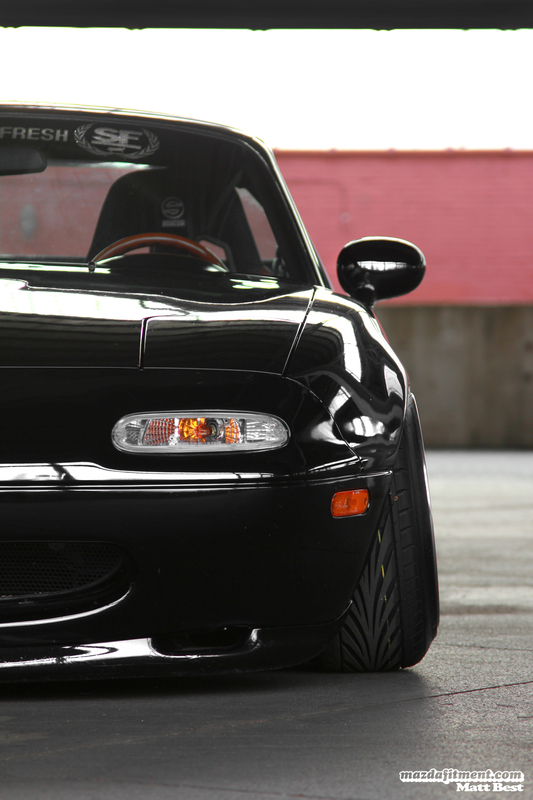 So, what does this have to do with this 1993 Brilliant Black Mazda Miata? Well, this phrase is the definition of what we feel about C.J. Gann’s roadster. Disturbed by how good it is, but pleased at the very same time about how well everything has come together to make it so appeal. C.J. 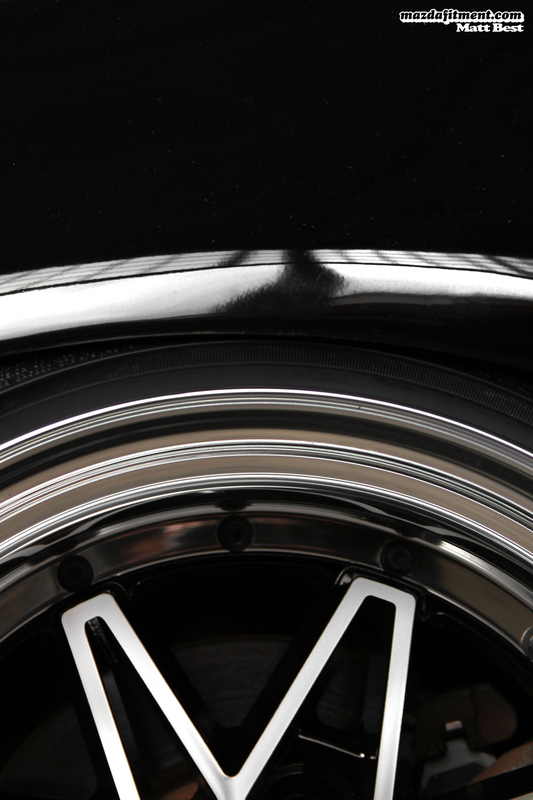 Gann got into the automotive scene thanks to his family owning an exhaust and automotive shop, which he also works at. In addition to this, C.J.’s first car was a 1998 Volkswagen Jetta that got him propelled into the modified scene, even though the style of modifying back then was complete different than today. Just like an ex-girlfriend that you keep coming back to even though you have owned something better like a MKIII Supra Turbo. 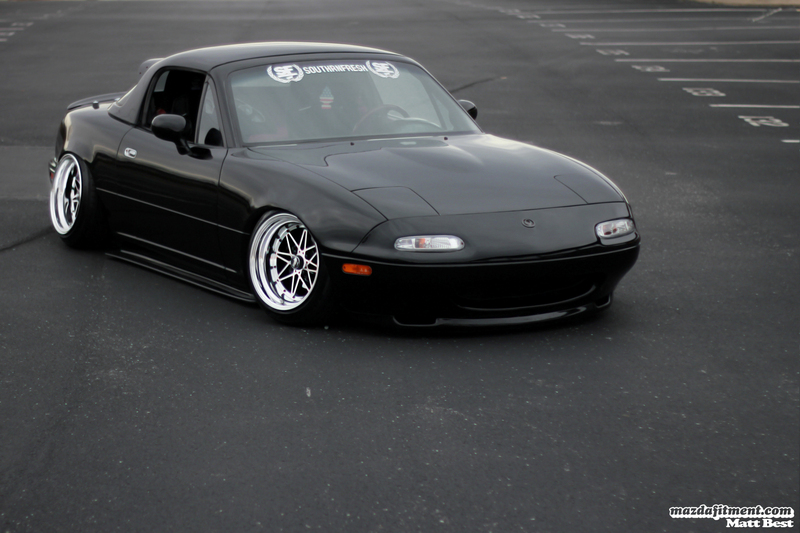 This is actually C.J.’s third Miata. 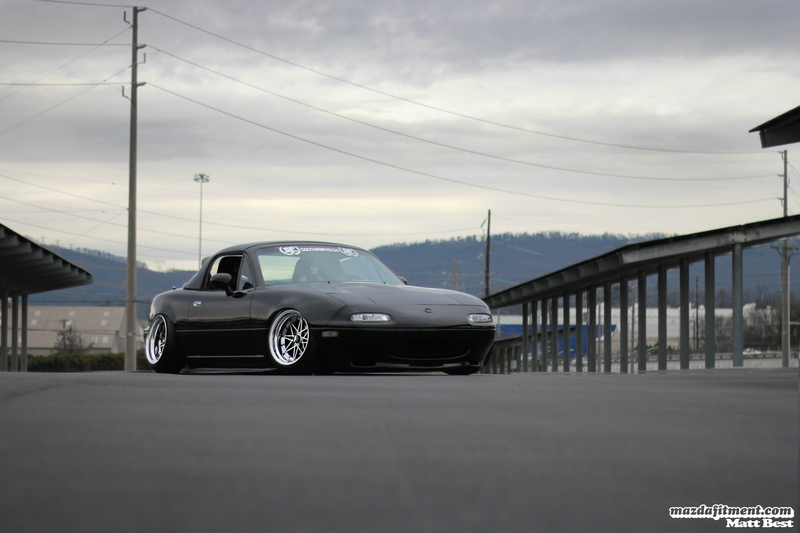 Something about a Miata is just fun. Though it may not be fast in its stock form, its just a blast driving through turns and such. 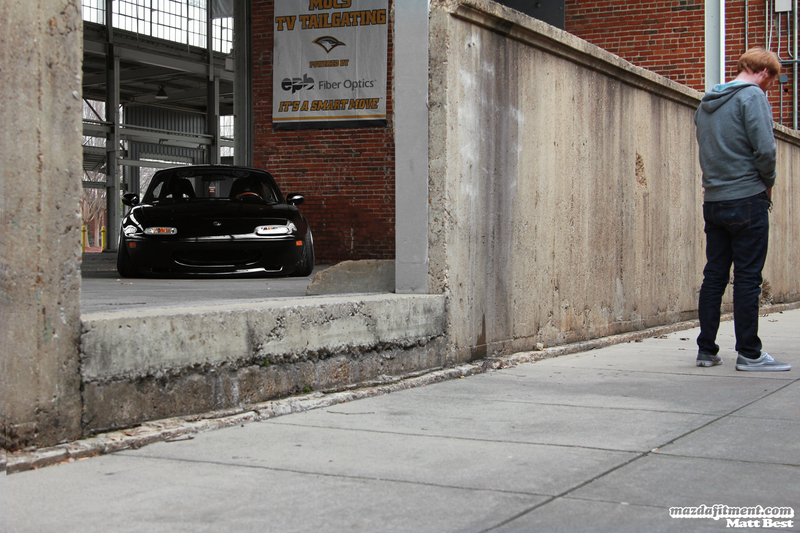 Browsing through the Miata forums in the infamous “slammed thread,” C.J. knew he wanted to be one of those guys. Having looking up to all those guys, he got an idea for what he wanted for his own car. While, C.J.’s local automotive scene in Dalton, Georgia is very poor in taste. He does have a great group of friends that all have a similar taste as he does. They would have “Slam Jams,” where they would typically meet somewhere to eat and just hangout around the cars afterwards. 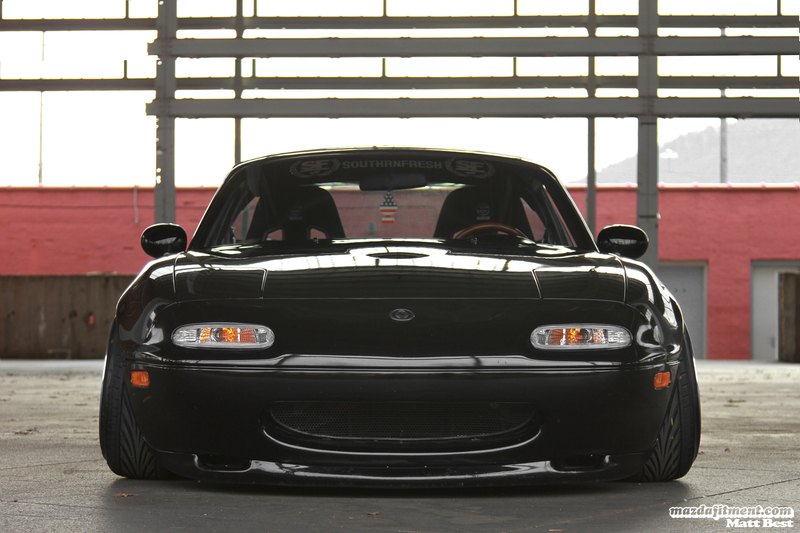 The signature cute Miata face. You grow to accept it and love it. 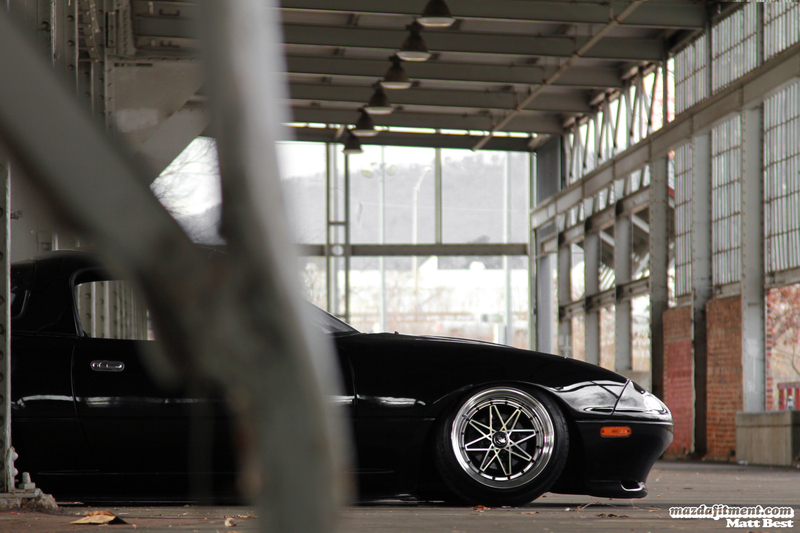 The fitment and the quality of condition the car is in is amazing. 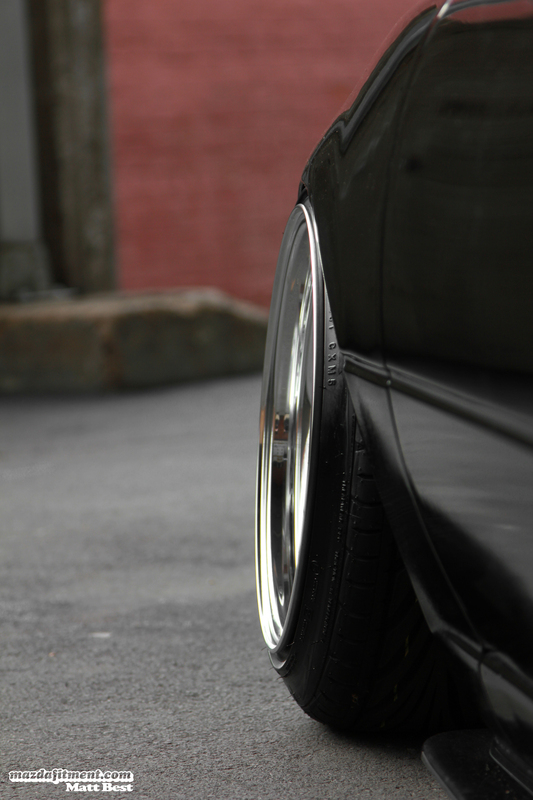 You would usually see broke parts and mangled fenders on other cars with this level of fitment. Take notes people, clean cars are the best cars. Especially maintaining an older car. 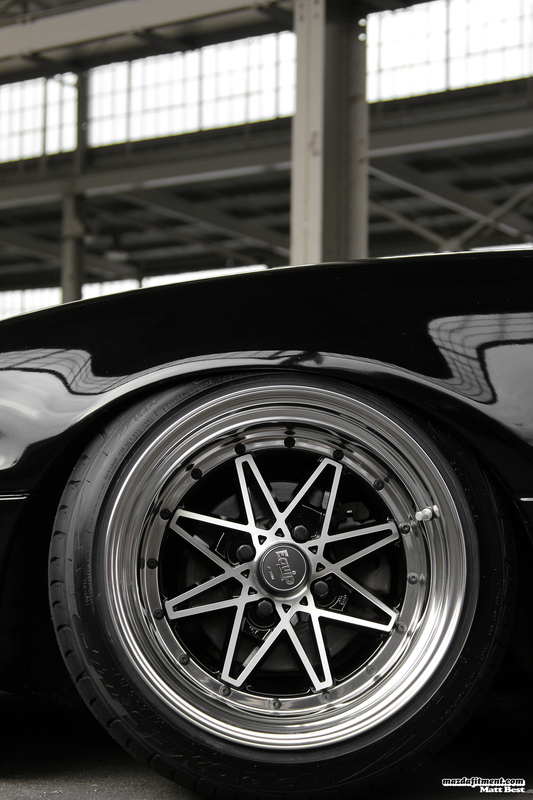 The retro/classic Japanese styling of these wheels suite this so well. Work Equip 03 with Black polish finish. 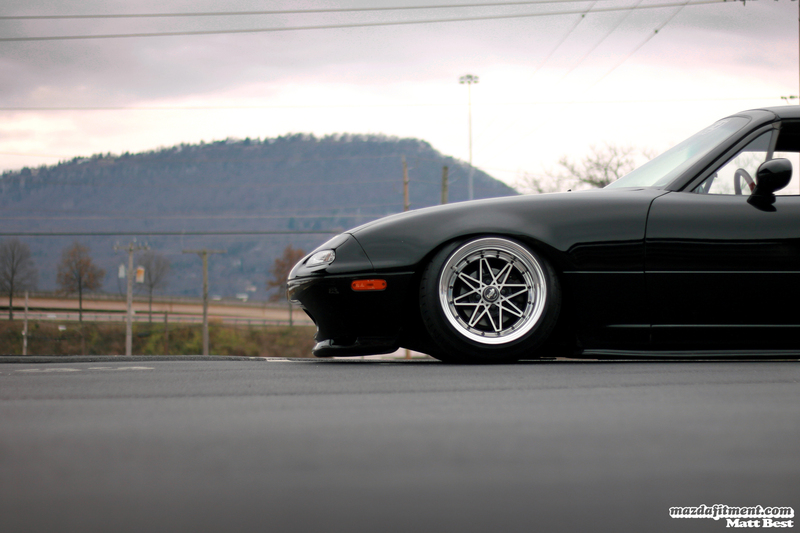 Stunting on 15×9 -6 with 195/45 Toyo T1R tires all around. What got us to “Me Gusta?” This vanity plate did it; suiting this roadster just right and giving it character. 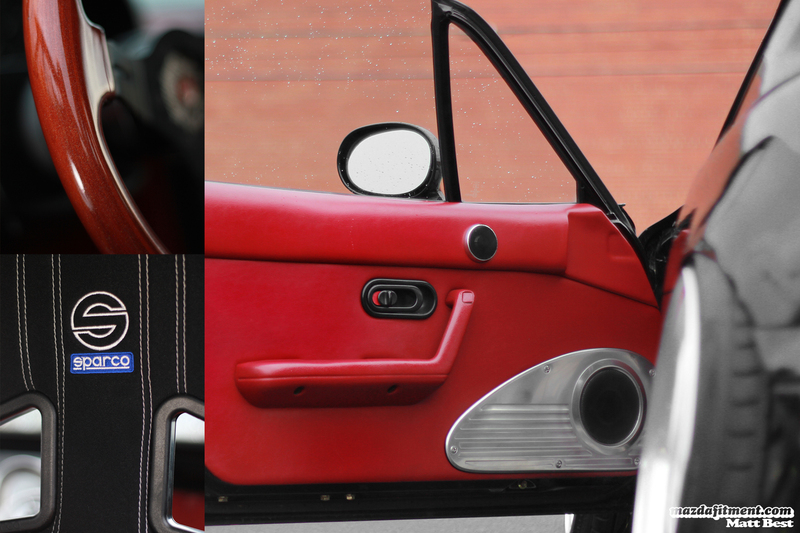 In the inside, we have Black with Red interor, which is 1 of 1500 ever made; rare. 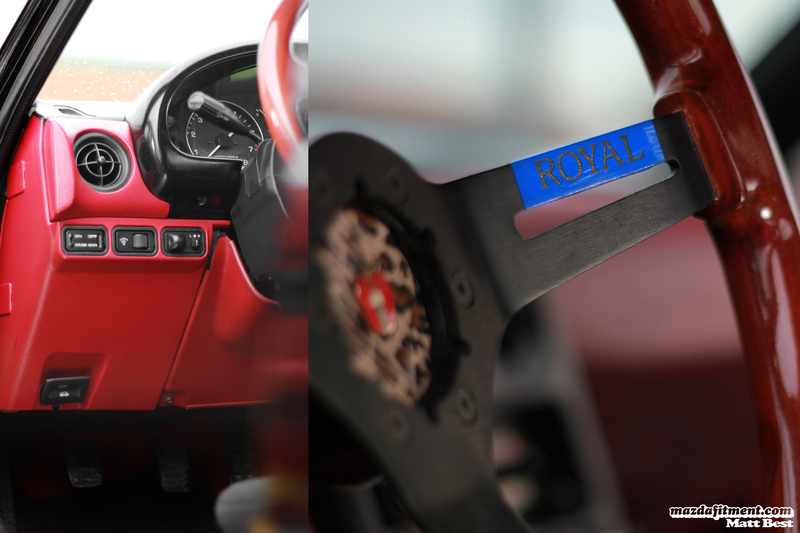 Sporting a Grip Royal steering wheel, OEM Nardi shift knob, and Sparco Speed 2 seats. C.J. would love to give a shout out to all his family at Lifetime Muffler & Brake that helped him take on this project, including his dad Clayton Gann and Uncle Jeff Gann for painting the car for him. Also, to all his close friends, The Slam Jam Gang, for constantly pushing him and giving their honest opinion on future modifications. And C.J. would like to thank everyone who loves the car; they have no idea how good it makes him feel in the inside. We at MF would like to thank C.J. Gann for letting us share his baby with everyone. Also, huge thanks to Matt Best for getting an awesome photo set for this feature. You definitely the best. You can follow Matt Best at http://www.flickr.com/photos/mattbest. 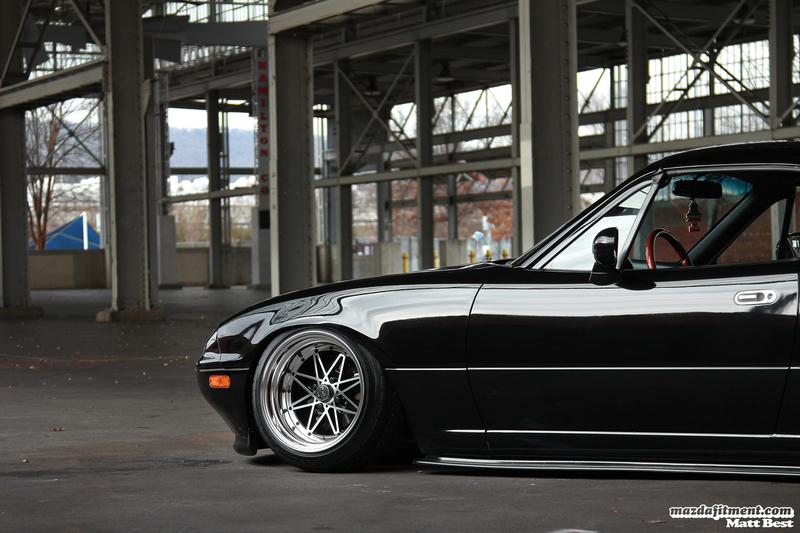 Aside of the coilover it is a very nice build! 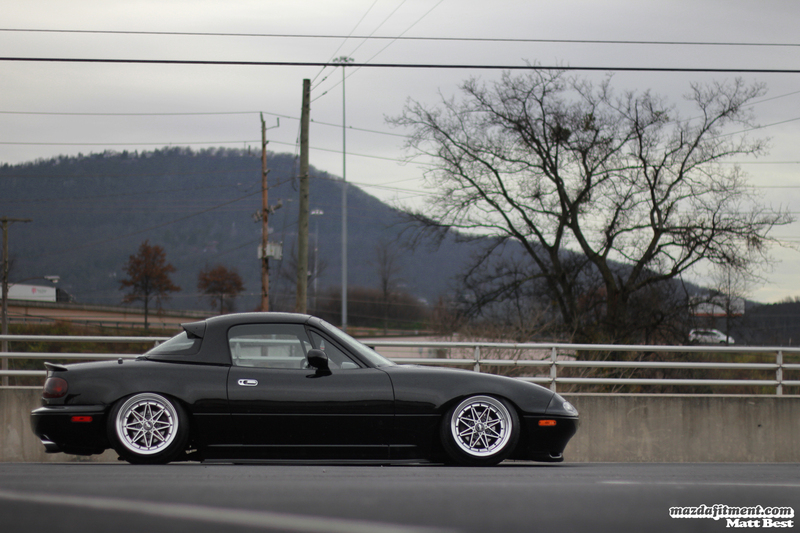 Funny how one person’s “better than a Miata” is someone else’s “garbage”! 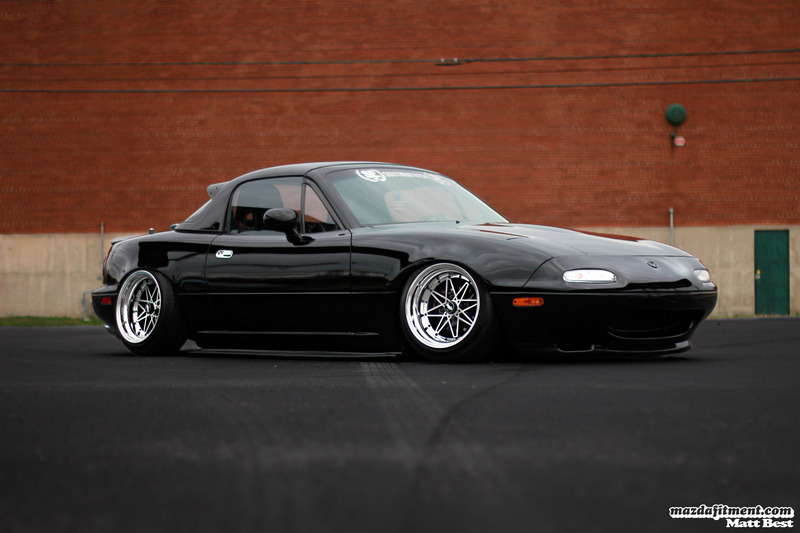 There are REASONS why Miata consistently scores as one of the best cars ever made. I don’t remember seeing Supras anywhere on those lists. 10 Reason Mk3 Supras are Garbage.